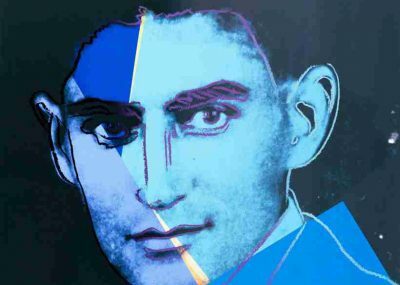 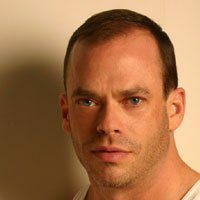 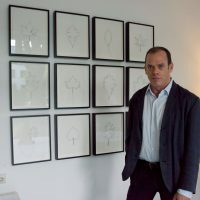 Through his work, New York-based artist Eric Rhein shares his artistic and personal voyage: his influences, vulnerabilities, and discoveries through three decades of living with HIV. 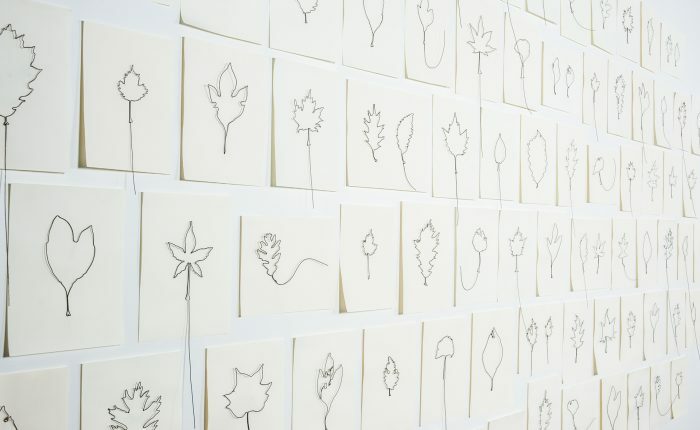 Central in Rhein’s work is Leaves, an ongoing project started in 1996: a series of symbolic portraits honoring the lives of over 250 men and women he knew who died of complications from AIDS, whose lives still enrich his being and work. 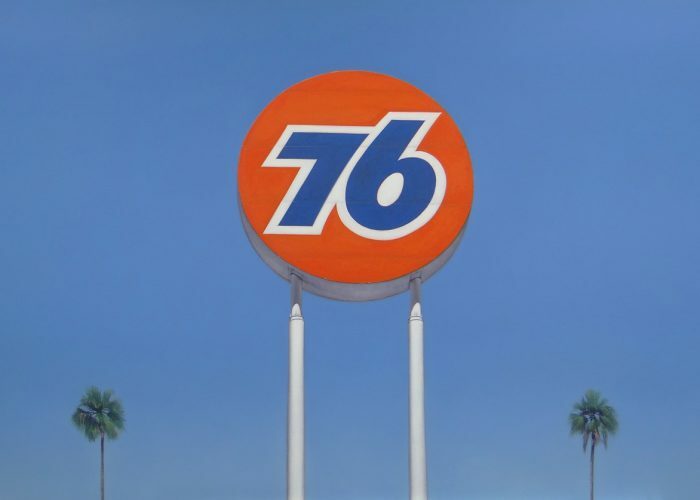 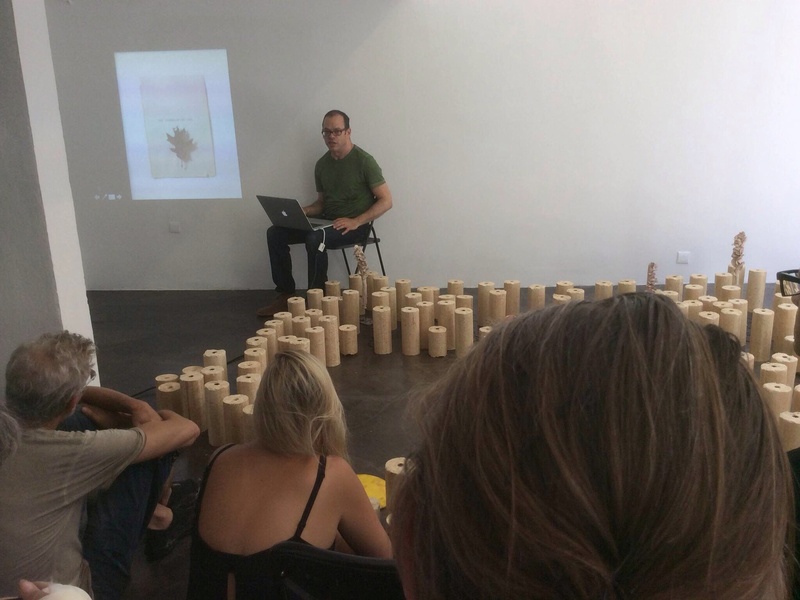 The artist his work is featured in the 2015-2016 traveling exhibition Art AIDS America. 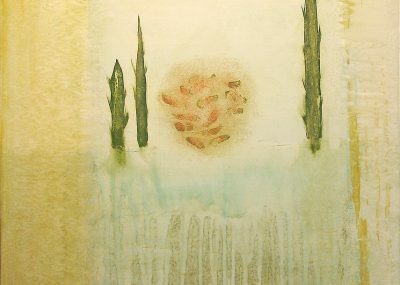 Eric’s overall body of work depicts his travels to physical and mystic spaces. 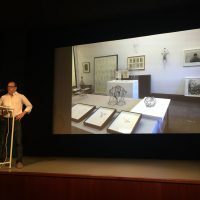 Using cast-off, found, and reclaimed objects, arranged with care and balance, he charges them with new meanings and life—mirroring the artist’s survival and renewal. 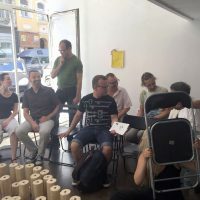 With 2016 being the twentieth anniversary of the protease inhibitor medications (which revolutionized the treatment of HIV, and transformed Rhein’s health), the timing of this Art In Embassies exchange was personally and culturally significant. 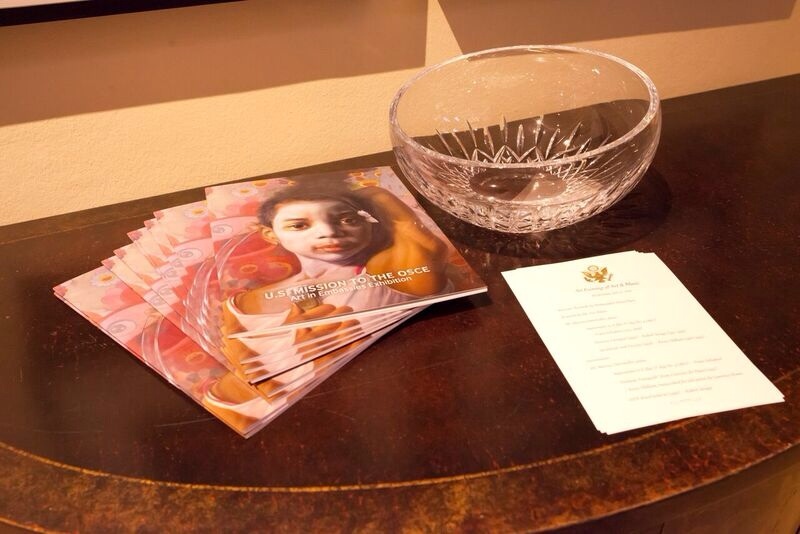 The 2014-2016 loan to the Residence of the Ambassador to the OSCE, Daniel Baer, is the third opportunity for Leaves to foster awareness and dialogue regarding the AIDS pandemic. 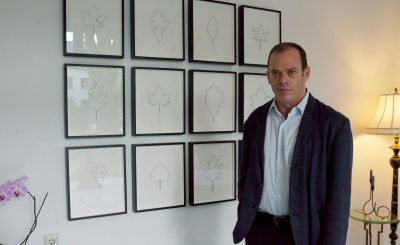 Eric’s relationship with the United States Department of State’s Art in Embassies Program began with the loan of artworks to the Residence of the American ambassador to Cameroon in 2008, one of which was from Leaves. 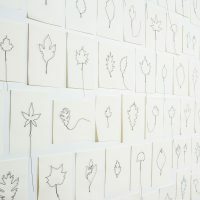 Subsequently, an installation of 6 pieces from Leaves, and one associated work, was purchased for the collection of the Embassy in Malta. 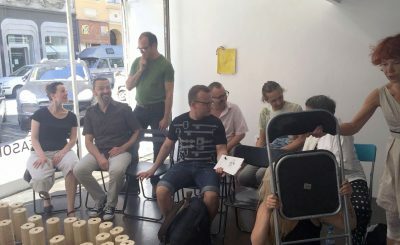 Leaves puts a face to a global health and humanitarian crisis, a prime reason why Rhein was invited to do this exchange program in Vienna. 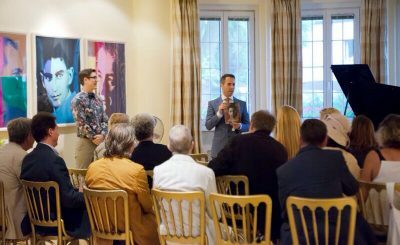 The three-day exchange—a collaboration between Art in Embassies, the public affairs team at the Embassy, and the artist—included artist talks at 21er Haus Museum of Contemporary Art, Gallery 12-14, and a reception at the Residence of Ambassador Baer and his husband Dr. Brian Walsh. 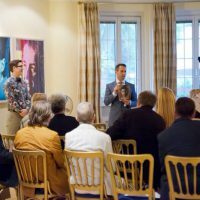 “During this exchange I was able to share a personal account of the pandemic with individuals prominent in international political and cultural life in Vienna.” The reception at Ambassador Baer’s Residence was a poignant event: the program featured a piano recital by HIV positive pianist Marcus Ostermiller, playing music of Schubert and works by composers who died from complications related to AIDS: Robert Savage and Kevin Oldham. 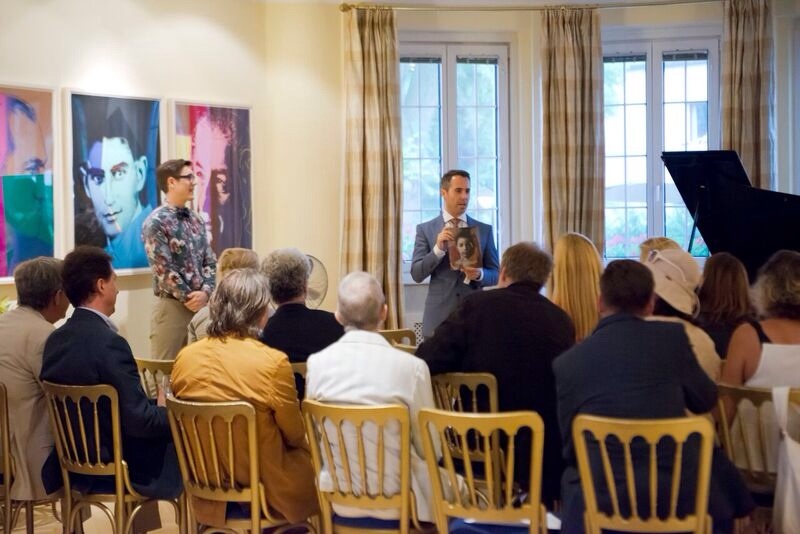 Eric Rhein is introduced at a reception at the Residence of the Ambassador. 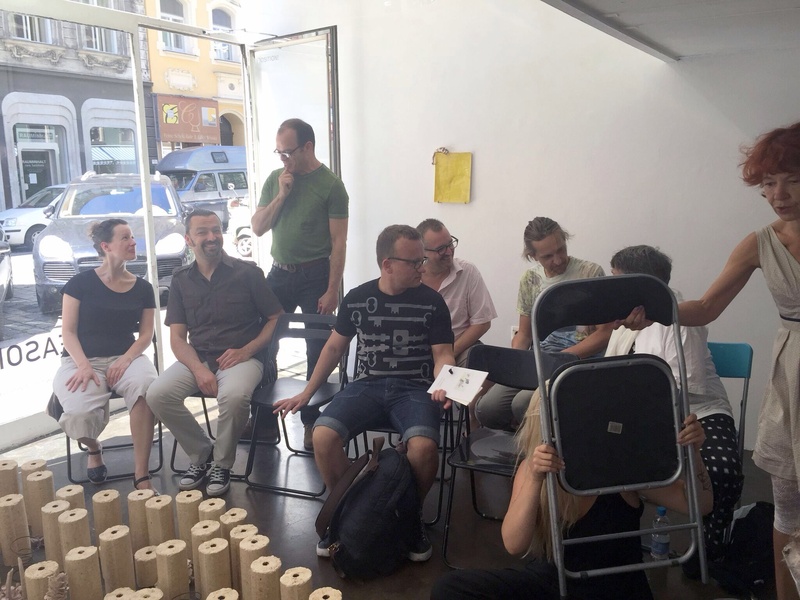 Artist Eric Rhein interacting with the audience at his workshop in Vienna. 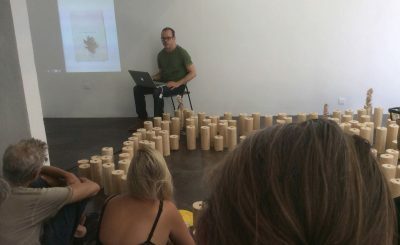 Eric Rhein leading an artist talk and workshop. 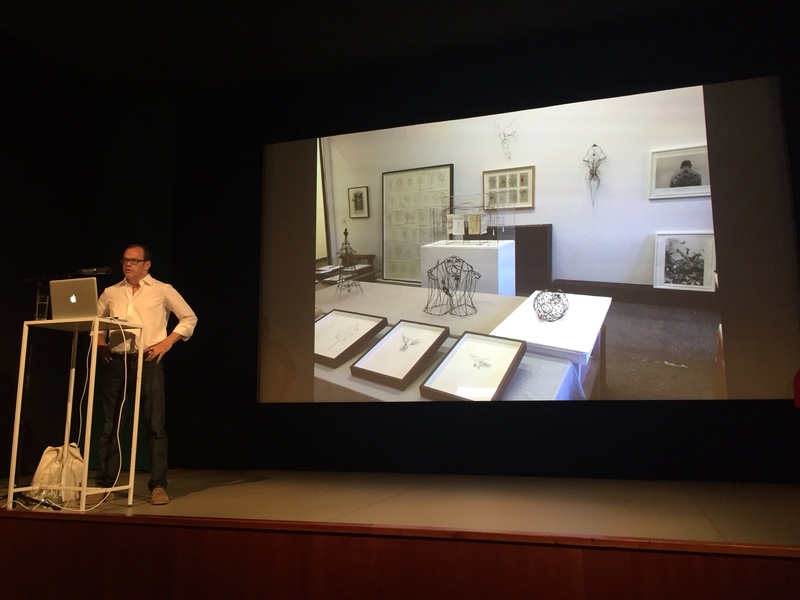 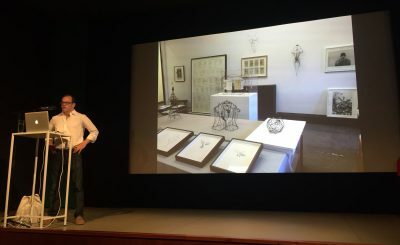 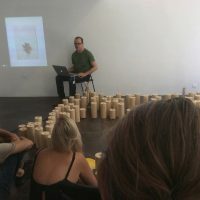 Artist Eric Rhein lecturing at 21er Haus Museum of Contemporary ArtEric Rhein leading an artist talk and workshop. 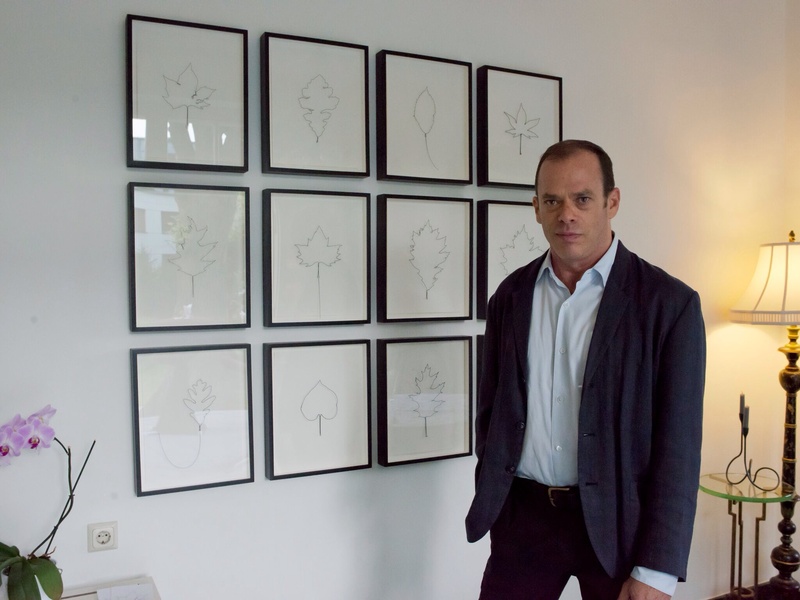 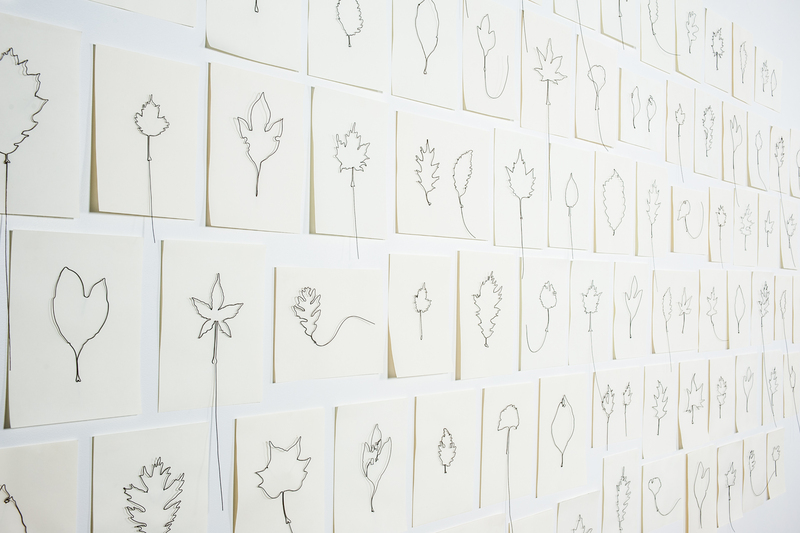 Detail image of the Leaves work on which artist Eric Rhein was invited to speak at the U.S. Mission to the Organization for Security and Co-operation in Europe in Vienna, Austria.Detail image of the Leaves work on which artist Eric Rhein was invited to speak at the U.S. Mission to the Organization for Security and Co-operation in Europe in Vienna, Austria. 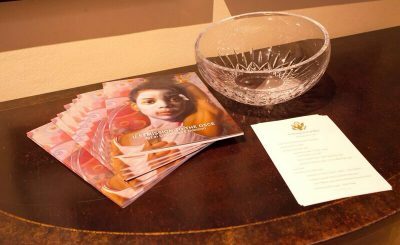 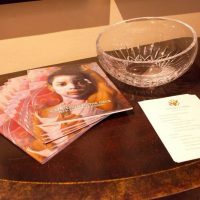 Table with program and catalog for the reception with Eric Rhein at the Residence of the Ambassador for the U.S. Mission to the Organization for Security and Co-operation in Europe.Table with program and catalog for the reception with Eric Rhein at the Residence of the Ambassador for the U.S. Mission to the Organization for Security and Co-operation in Europe.